Minutes away from Santa Fe’s Plaza, the Rosewood Inn of the Anasazi offers the ideal location from which to discover New Mexico’s unique cultural identity. Home to one of the best restaurants in Santa Fe and a sleek candlelit Bar & Lounge, this Southwestern style hotel is one of the best to stay at on your trip to New Mexico. 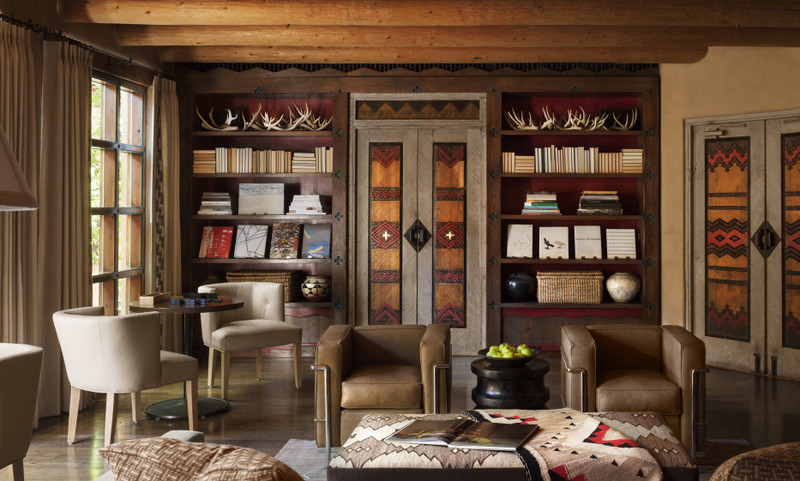 On the main floor of the hotel, the Library houses a generous collection of books on Southwestern art, history and culture for guests interested in learning more about Santa Fe. The Anasazi Restaurant serves excellent local cuisine embracing the Inn's native American heritage. Taking the time to dine al fresco at The Patio, from which you will enjoy the swinging pace of the nearby Santa Fe Plaza.